Hi! 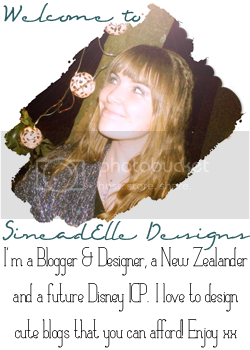 Welcome to SineadElle Designs! I am so happy you are interested in my design services. I offer custom blog designs for very cheap prices, and love to work hands on with clients to provide a blog design that best suits you! or browse my pre-made designs and get them customised for you. Check out my prices and purchase the perfect custom design for you! 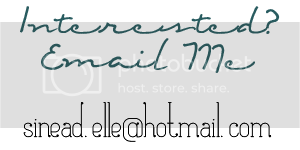 I aim to provide a low-cost design service for up-and-coming blogs, or established bloggers who are strapped for cash. helping me get to Florida, America to work at Walt Disney World in August 2013.